Does Credit History play a big role? 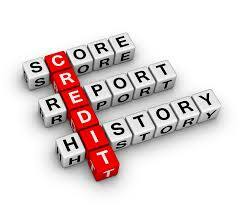 Understanding of the 4c’s of Credit!! As I talk to home owners or home buyers throughout Australia on a daily basis, there continues to be a frustration that exists in regards to obtaining a loan. If you have ever had similar thoughts, you are not alone. There are many reasons that a bank will decide to either approve or decline a home loan application. Now, whilst the whole finance market has changed radically over the years, the fundamentals of how a lender will assess an application hasn’t. Understanding these fundamentals (and ensuring you have these areas in order) will help you prepare for a home loan. I will go through them one-by-one this week. Bank’s credit assessor will also look carefully at your repayment history. The analyst will access your credit file (with the past 5 years of credit history) and look at both the lenders and the frequency of enquiry on your file for evidence of who you borrowed money from, and how responsible you have been in meeting repayments. If there is anything in your credit file that looks less than rosy it’s very important to explain this to me. This way I can paint your history to the credit analyst in the most positive light, and mitigate the impact of any shortcomings in your file. For example: if your credit file shows that you were late with your credit card repayments for three months running, and this was due to illness or loss of your job, I can explain this to the Bank’s credit analyst. The general rule is the higher a borrower’s credit scores, the better their chances are to receive an approval. Looking forward for a smooth loan process? What is collateral and what it means to a lender? Is your coffee habit adding years to your mortgage? Are you ready to celebrate Xmas and New Year at your new home? Is property investment for you?